Trick-or-Treat! It's time for some fun and festive crafting with the Stampin' Pretty Pals! You've probably hopped over from Mary Fish at Stampin' Pretty, I'm stop number 5 on the Pals Hop and I'm glad you hopped in! 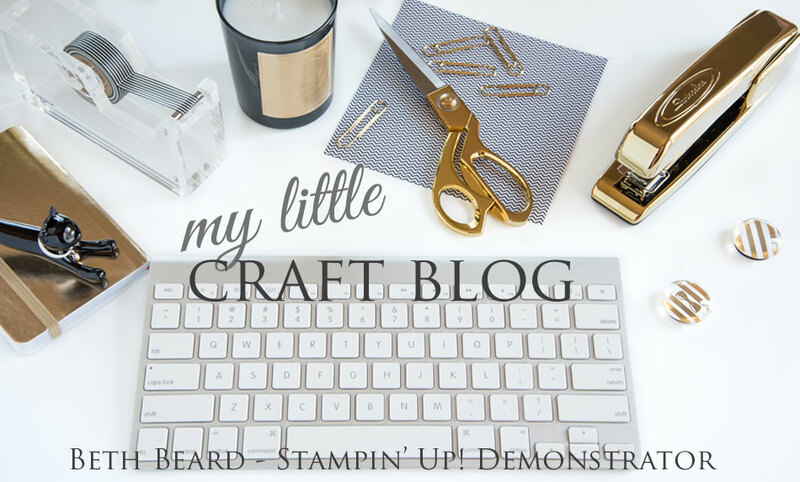 I'll help you "hop along" from blog to blog where you'll find great ideas for Stampin' Up! 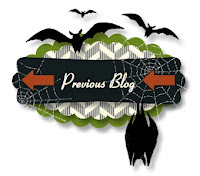 Halloween projects along with some tricks and treats along the way! Should you hop off course, simply click on any of the links in the Pals Hop Line-up below and you'll be back on track. I'm giving away a TREAT! Lucky you! You will receive a PDF copy of step by step instructions, supply list, color photos, and you will receive access for each video and there's no time limit, you will have unlimited access. I'm giving away three (3) of this months, Autumn All Occasion Online Class. If you have already purchased this class, I'll substitute another of your choice. If you'd like a chance to win, simply leave a comment below by Friday. Three random winners will be announced here next Tuesday, so be sure to come back! 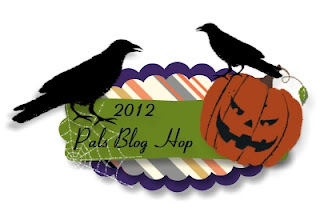 Now hop along for more tricks and treats and some spooky ideas from Peggy Noe at Prettypapercards.com, stop number 6 on the Pals Trick-or-Treat Blog Hop! Thanks for "hopping" by! Autumn is my favorite time of the year and these cards capture the colors so well. I would love to win the class to learn how to make these beautiful cards. Wild love to win a few online classes! Very cute project today! Great for the holidays coming up! Love this time of year!! Thanks for the giveaway! I absolutely LOVE those fall cards and am interested to see how you made them! Very nice! Love the simple lines, and REALLY think that ribbon is perfect! Oh, how lovely, you've made Fall look so beautiful. 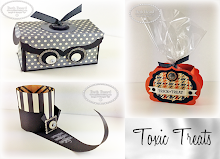 Thanks for sharing and have a great Stampin' week. I LOVE your card - the color combination is fabulous! (Similiar to the colors I used in mine, but the gumball green gives it a little more oomph! 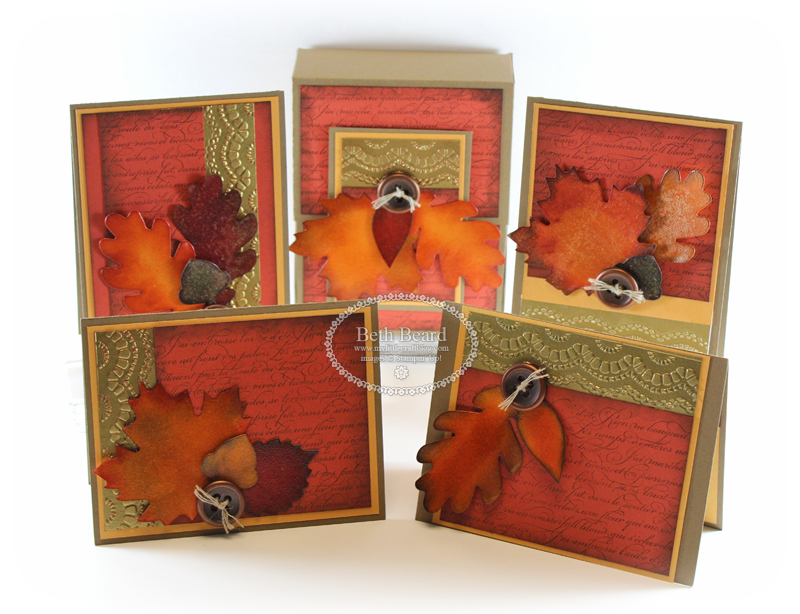 Your Autumn Card class is beautiful too! You're very talented. Love the candelabra on your card. I never thought of putting the bling on it. Thanks for the idea and the chance to win!! What a spooky wonderful card! Love your card - I especially like the added bling! Simple and spellegant! Beth, what a classy Halloween card! Great job with your colors and papers! I love you inspiration and cards. Thank you for your tricks and a chance for some treats!!! These fall cards are simply gorgeous! 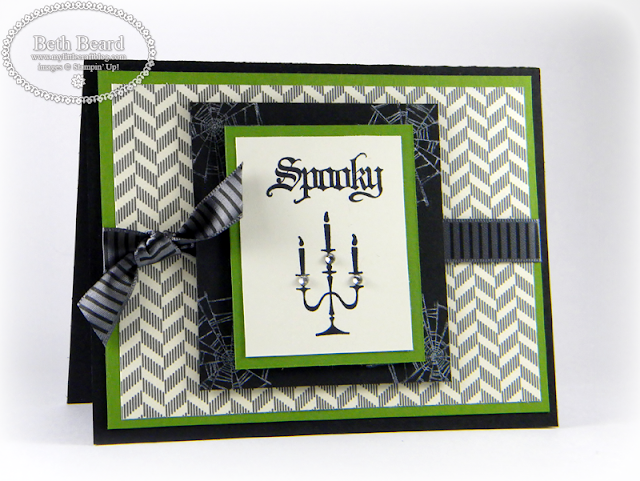 I like the clean and simple, yet elegant look of your spooky card. I even have that set and dsp, so I may try it myself. I saw your fall cards below the post also and they are beautiful. Thanks for sharing! I really liked the tiny spider webs you added!! Thanks for the chance at the blog candy! Paula G.
Your fall cards are absolutely elegant! Thanks for sharing! The fall cards are very elegant and I love the colors! Love the Halloween card - classy and creepy :) Your fall cards are beautiful! Love, love LOVE the halloween card and the autumn ones....OMGosh SO beautiful. Love this card! The green just pops with the black and the rhinestones really add to the candlesticks! Thanks for sharing. Great card! I love your attention to detail Beth. LOVE, love the Autumn project! WICKED COOL IS MY FAV HALLOWEEN STAMP SET. YOU DID AN AWESOME JOB WITH THE CARD. LOVE THE SPIDER WEBS!! brilliant design . . . love the rhinestones. the perfect touch! Love your Halloween and Fall stuff. 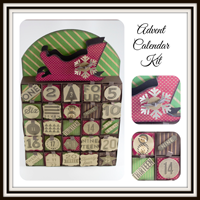 Just stumbled on your blog today with the blog hop and have added you to my favorites. Great Halloween card. I love the added rhinestones. Really makes it stand out. 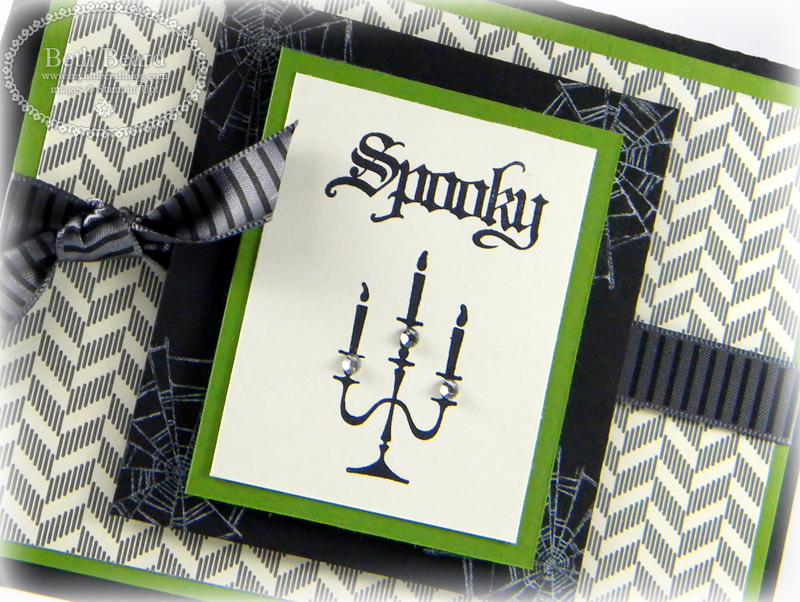 love the Spooky Halloween card- simple yet spooky!! 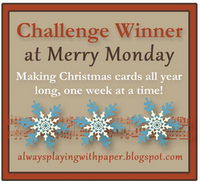 Love the ribbon- thanks for the inspiration and chance to win! thanks for the chance to win directions to the beautiful fall cards- Spooky was great too! These are beautiful! Thank you for giving us the chance to win! I love this halloween stamp set I use it all the time. Thanks for the chance to win a treat. I have your blog on the favorite list and I check it everyday. Beautiful project and treat too. I love the elgance of your designs Beth. Beth: this card is just great. I have this set and never thought to combine the elements as you did. Wonderful! I'm in love with the colors you used in the first card. Stunning green! Wow! 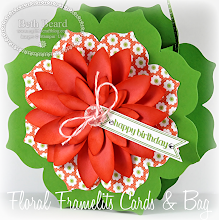 Gorgeous card, TFS and for the chance to win. Love your cards. WOuld love to try one of your online classes! Wow! Your Halloween card is just too, too cool. I'm going to CAS it for sure! The cards for fall are awesome! I'd love to win! Tks! Fall is my favorite time of the year. These cards are absolutely beautiful. I hope I win. I love your Halloween card, especially the DSP. But I really like the fall cards - really beautiful! Such a cute simple Halloween card with a different take then most I have seen!! And the fall cards with the box... LOVE IT!!!! Love your cards and ideas. 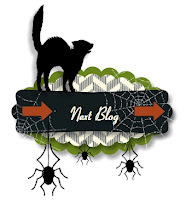 I love your creative ideas on these great fall cards and of course the spooky halloween card. Thanks for the chance to win! Love your designs. Thanks for the chance to win. Beth, your card is spooky beautiful, love the rhinestones on the candlesticks. Even more beautiful are the fall cards. You are so generous to share the class with us. Can't wait to check out more of your blog. Beth, I love your card and the details are clean and classy! Thanks for sharing your design! Loving this card....the simplicity yet it is so sophisticated!!!! TFS! What elegance! The jewels add just the right touch. The cards are absolutely beautiful. I have just discovered your blog with the hop. I would love to win your fall cards - they are awesome! Thank you for sharing what you love! Your Spooky card is clean, simple and beautiful. I love the rhinestones, they are the right amount of sparkle. Wow, I love your card! I'm kicking myself for not ordering the grey ribbon with my last order...love it! Thanks for the opportunity to win! Thanks for the chance to win blog candy. The rhinestones are a great addition to your card...love it!